Kamala Harris, the first from the Indian community to be elected to the US Senate, remains unknown to many people in her own state California. WASHINGTON: Indian-American Kamala Harris, the first from the community to be elected to the US Senate, remains unknown to many people in her own state California despite maintaining a high profile in Washington, according to a new poll. 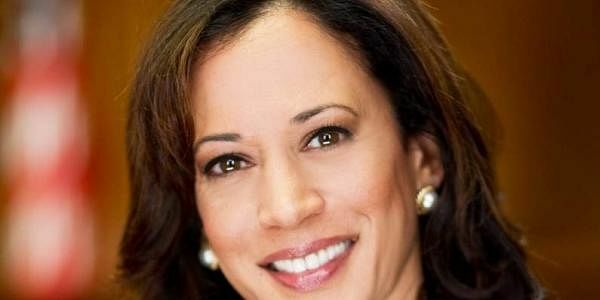 Forty-six percent of Californians approves of the job 52-year-old Harris is doing, while 23 percent disapprove, Politico news reported, citing the poll released yesterday by the nonpartisan Public Policy Institute of California (PPIC). Harris, whose mother was from Chennai and father from Jamaica, won the US Senate Seat from California in a landslide election on November 8, becoming the first black and Asian Senator from the state. California's senior senator Dianne Feinstein has seen her job approval rating tick down, said the poll, which is the PPIC's first post-election measure of Harris' job approval. Thirty percent of Californians, including 20 percent of Democrats, said they do not know how to rate Harris' performance, according to the poll. Feinstein, who has served in the Senate for 25 years and is expected to seek re-election in 2018, saw the former California attorney general's job approval rating among California adults fall seven percentage points from early last year to 49 percent, the report said. Thirty-two percent of Californians disapprove of the job she is doing, it said. The poll comes after Harris vaulted onto the national stage, drawing attention as one of many potential Democratic candidates for president in 2020. She is expected to attend a gathering of the party's most prominent politicians at a Centre for American Progress conference in May. A media report in November said that she has the potential to become the first woman president of the US. The poll, using live telephone interviews, was conducted from March 5 to 14, surveying 1,706 California adults. The margin of error is plus or minus 3.3 percentage points.